We all know the importance of the deadlift – the hinge pattern is a must for anyone after a properly functioning, athletic body. Sadly, many lifters are frustrated by their inability to perform deadlifts in a safe way that provides benefits, if they haven’t paid the price for it already by way of an acute injury or chronic pain. It’s all fine and good to focus on a flat back position, getting tight, and so on, but in truth, the problem may be in the fine details. If you want a stronger deadlift and don’t want to break your back while pursuing it, you’re going to need to apply some hacks that are tailored to your needs. Luckily, I’m here to provide the goods. Deadlifts – and any other barbell movement, for that matter – are a big dance with physics. We have to understand that the shortest distance between any two points is a straight line, and for maximum efficiency and strength of the movement, the bar needs to travel directly perpendicular to the floor. That means we’ve got to do what it takes to get our bodies to conform with that in our setup. Depending on our leverages, that could mean a higher or lower starting hip position. Second, it’s of prime importance that we maintain the position of the bar being under our shoulder blades in space for the majority of the pull. This will create the most advantageous position for a lifter to support the load. 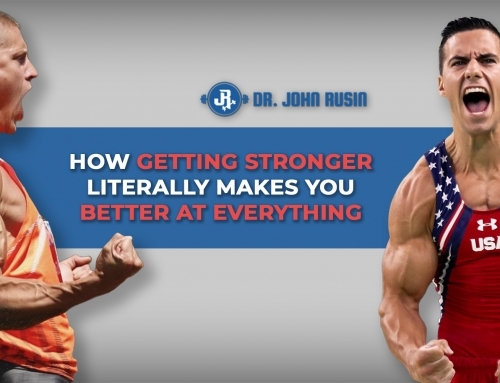 The second we give up any of the above is the moment we place ourselves in a greater risk for injury, while also making for a weaker lift – regardless of our preferred stance. But if we’re on point with physics and have a good setup, but we still suffer from a weak pull that breaks down in a hurry technically, we’ll have to start dissecting things in a bit more detail. First and foremost, ensuring a good back position may not be as simple as meets the eye – especially if you struggle with finding that position on an average day. You may be allowing your hamstrings maintain control of the pelvis for the entire duration of the lift, and that’s no good. Allow me to explain. In a typical deadlift set up, acquiring an ideal, flat lumbar spine while bent over in a pulling position means the lower back musculature has the most control over the pelvis, allowing it to slightly anteriorly tilt in preparation for the pull – creating the flat back or mild arch that’s desired. As the lift progresses, the glutes and hamstrings contribute to extend the hips. Their contraction will give them a growing amount of control over the pelvis and gradually posteriorly tilt it as the movement nears completion. It’s important to respect this tradeoff, so to speak, so the right muscles win their part of the power struggle at the right time. A good way to do this is to assume a full squat position with a rounded back before setting up to pull. This allows the hamstrings to stay relaxed and not pulled taut, and allows you, the lifter, to pull up into your starting position rather than reach down for it. That all gives the lumbar spine a much better chance of achieving neutrality or slight extension necessary for a safe, sound pull. Using a mixed grip – one hand over, and one hand under – is great for pulling more weight raw. But as I’ve said in previous articles, more weight isn’t the be all and end all to lasting gains and sustainable training. What’s more important than constantly trying to get stronger and stronger, is getting strong, and then staying strong through your efforts over time and attention to the details. With all of that said, keeping one arm internally rotated and the other externally rotated as you pull hundreds of pounds off the ground for sets and reps isn’t doing your body any services beyond making the feat itself possible. Excessive use of the mixed grip will certainly begin to cascade muscle imbalances throughout the body, starting with the shoulders and likely working their way down toward the lower back and pelvic girdle. Take an objective look at everything and give yourself and ego check. You can only lift as much as you can hold, and you should hold the deadlift bar with a double overhand grip for as long as possible. If you’re finding yourself doing your sets with the empty bar, 95 pounds, and 135 with an over/under grip, then you’ve probably found the dark horse contributor to your chronic back and shoulder pain. Leave the mixed grip for your heaviest sets of doubles and triples. There’s a big difference between using a mixed grip for 10 total reps in a workout, and using it for your entire training session. Even if your PR goes down by 5 or 10 percent – who really cares? If you’re immobile and inflexible, at some point you’re going to have to address that instead of force-feeding a movement pattern on a body that doesn’t possess the prerequisites needed. While you work on that, using the hinge pattern may mean pulling from a shortened distance. Even if it’s a few inches, mounting the bar on blocks, step platforms, or other plates can be the difference between a safe pull that still delivers all the benefits, and a dangerous pull that you’re not prepared for. This doesn’t seem like a big deal, but it is – specifically because most run of the mill commercial box chain gyms that I’ve been to don’t tend to pay much attention to barbells outside of them meeting the bare minimum prerequisites: They weigh 45 pounds, they have decent knurling, they can handle good loading, and they’re the correct length. In truth, depending on the brand of the bar, you can end up working with a bar that’s thicker than others. In competitions, deadlift bars are actually a touch skinnier than bars for other events, and that’s something worth noticing. The deadlift is already a grip-intensive movement. If you’re going to disadvantage yourself more by holding a bar that’s even half a centimetre thicker in circumference, your body and performance will likely show that immediately, and you’ll have a hard time meeting your true potential by the numbers. Find a bar with good knurling and normal thickness. If you want to deliberately and specifically challenge your grip strength, then search for a fatter bar, but if you’re looking to hit your percentages, take heed of the above. Feeding off of a couple of the above subheadings, this is what I consider a true fix and staple in most lifters’ programs. The trap bar provides a solution to most of the problems above: It kills a mixed grip by using neutral handles for a safe, balanced body position that’s closer to anatomical. It reduces some pulling space if you go high handle. And it solves the bar thickness issue since the trap bar was made specifically for deadlifting. You’ll never find a trap bar with handles that are too fat. If you’re a taller lifter who struggles to find a neutral spine, this all helps your cause, while it also highlights the fact that this setup doesn’t involve a bar blocking the shins. The ability to let your knees migrate forward even by a couple of inches can be a saving grace to a long legged or taller lifter’s geometry to facilitate a safe, strong pull. Yet another reason to use it. Here’s a triple with 515 pounds for some inspiration. Isometric training is often overlooked, and a method that I at first dismissed as inapplicable to traditional isotonic weight training. Needless to say, I was wrong. The good thing about using an isometric deadlift is the fact that you can create maximum force at every segment of your lift, which is something that can never be duplicated as long as the bar is in motion and you’re capable of actually lifting it. Applying force against an immovable object makes up for a range of motion that you’d typically only pass throughusing conventional deadlifting methods. There are a number of ways you can use this with the deadlift, depending on the setup of your gym. Most commonly, I like setting up an empty bar in a squat cage, with the pins situated at shin level above the bar, instead of below it. Set up like you normally would, and pull the bar hard up into the pins, attempting to lift the entire squat cage off the ground (assuming you can’t – make sure!). Hold for sets of 10-15 seconds, using 60 second breaks. Then move the pins up to a higher level and repeat. You can do this at every segment of the deadlift in order to strengthen the whole thing. 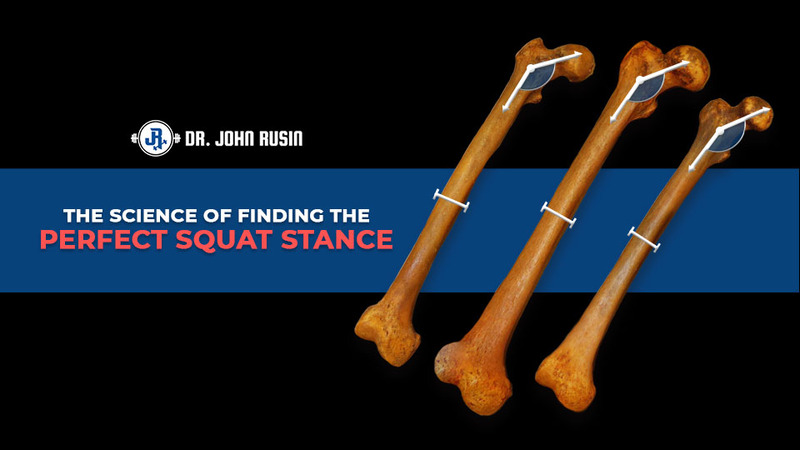 If you don’t have a squat cage that can accommodate this idea, simply load a barbell on the ground to 150% of your 1RM, or a weight you’re certain you can’t budge – and do the same thing. Load that heavy barbell on some blocks or steps for a higher pulling position, and repeat. Then use higher blocks or steps. You get the idea. #7: Stop Whipping the Hips Through! This is something I can’t stand. Somewhere, someone said that it was a better training tool and showcase of power by rapidly jarring the hips forward through the top half of deadlifts, to make it look like he trying to break the thing in half with his junk. And it makes absolutely no sense. Think about this: The force angle of a deadlift is downward, thanks to gravity. The force angle that a hip drive creates is horizontal, since you’re doing a hip extension pattern. It’s all fine and good to come up strong and sharply for a good quality movement, but there’s no added value in blatantly adding excessive speed to the last half of the lift, since the force application isn’t even being properly met with a force angle. That’s why it’s easier to add speed in that segment compared to the bottom half when the hips are more flexed. People think the glutes get “more” out of this by doing so, but by this flawed logic they’d be able to do the same thing during a heavy hip thrust, which we know isn’t possible. As far as deadlifts go, in truth, they’re probably setting themselves up for anterior migration of the femur in its socket and the resultant chronic pain due to such jarring under load. Also, there’s no way to guard against compression of the spine when adding so much speed. If you struggle with a perfect setup and execution under normal conditions and tempos, then giving yourself a quarter of the time to do the same thing will only set the table for form to be missed, and for injuries to be risked. The moral of the story: Just come up normally. The truth is, for a strong and healthy deadlift, you’re going to have to recognize that not everyone was built the same way. It’s not a matter of walking up to the straight bar, gripping and ripping. There’s more to it than that. If that means changing your grip, apparatus, setup, or tempo, then so be it. It’ll lead to greater development and gains in the long haul, and isn’t that what this should really be all about? Lee Boyce is a former university level sprinter, a sought after personal trainer, an internationally published fitness writer, and a college professor based in Toronto, Canada. He’s the owner of Lee Boyce Training Systems, and has been published over 800 times in many of the world’s largest mainstream publications, including The Wall St. Journal, Men’s Health, Esquire, and Oxygen, along with peer-reviewed journals like Personal Training Quarterly for the National Strength and Conditioning Association. Follow Lee on Instagram, and visit his website www.leeboycetraining.com.